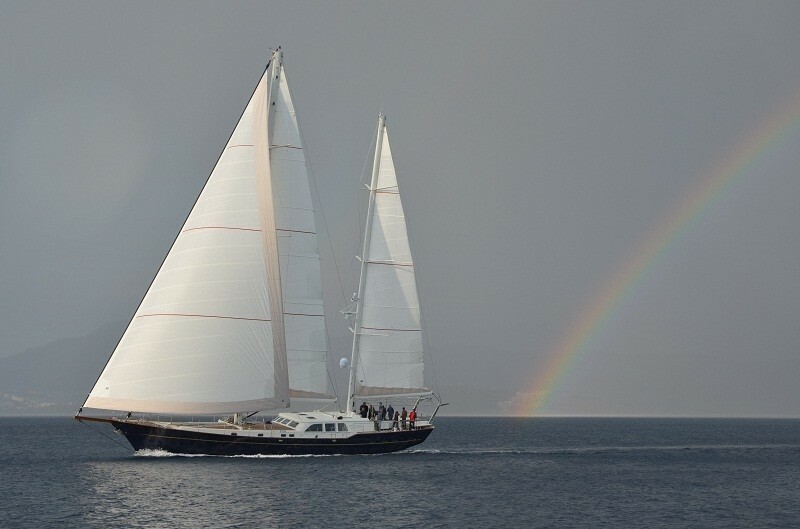 Sailing yacht KESTREL is a luxury charter yacht launched in 2012, designed by Ron Holland conceived by Kestrel Superyachts and built by the Aganlar Boatyard in Bodrum, Turkey. 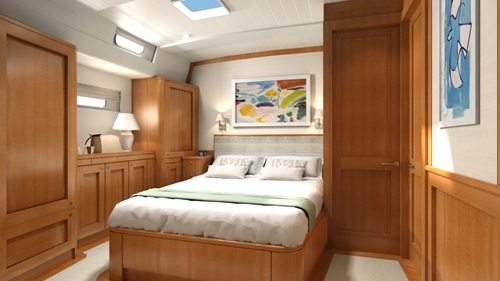 The first Kestrel 106 yacht named KESTREL measures 32.4 meters (106ft) and is a new breed of superyacht designed for an exceptional charter lifestyle. 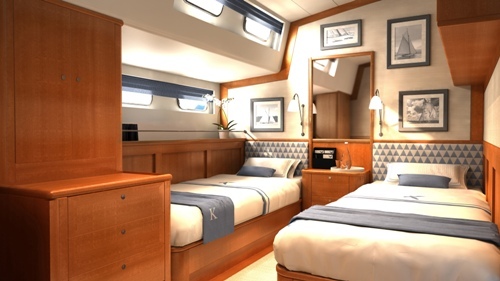 The Kestral sailing yacht is a comfortable and spacious ocean cruiser that is easy to handle and capable of long distance voyages or entertaining friends when day sailing around coastal waters. 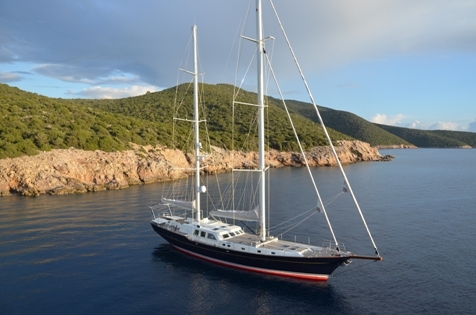 The yacht is based in the Western Mediterranean and is able to accommodate 8 charter guests in style. 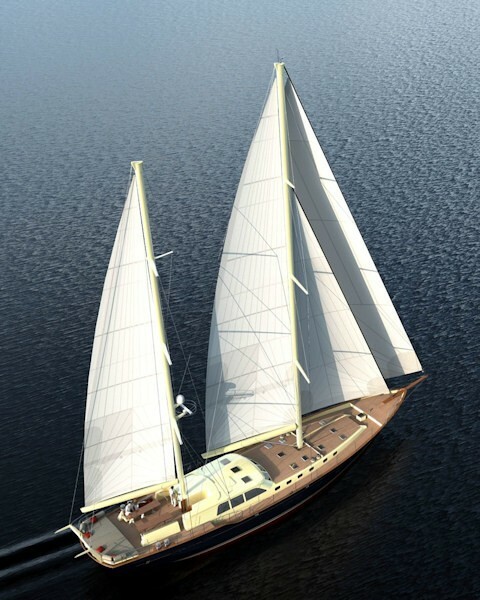 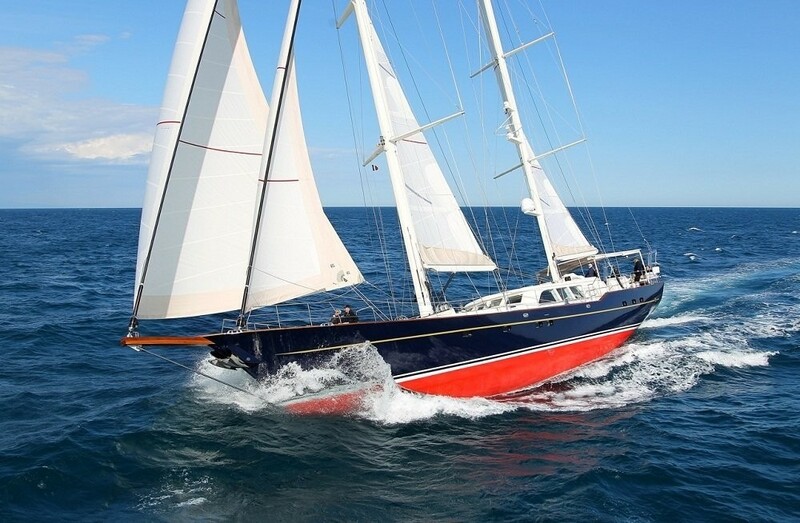 The 32m Ketch KESTREL a new Kestrel design with beautifully classic lines that reflects a balance between traditional sailing yachts of the past, with design refinements that are influenced by the latest sailing technology. 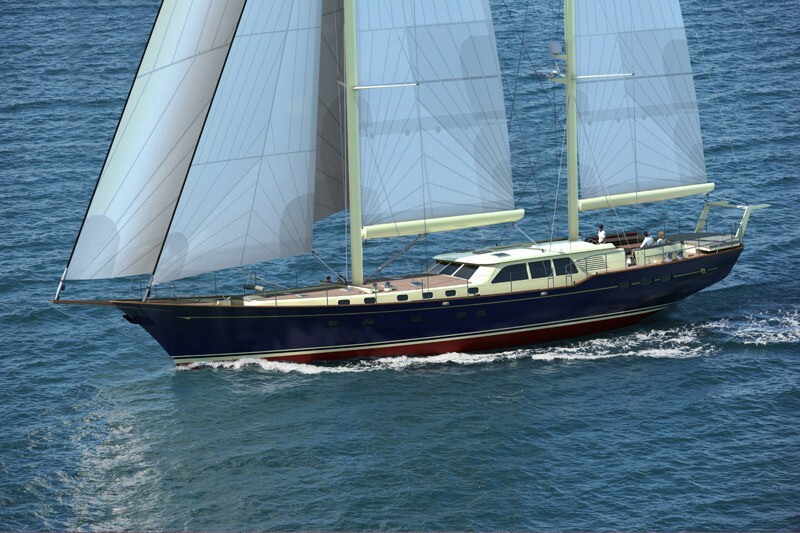 The Kestrel 106 yacht designed by Ron Holland Design is a large volume ocean cruising ketch capable of impressive sailing performance. 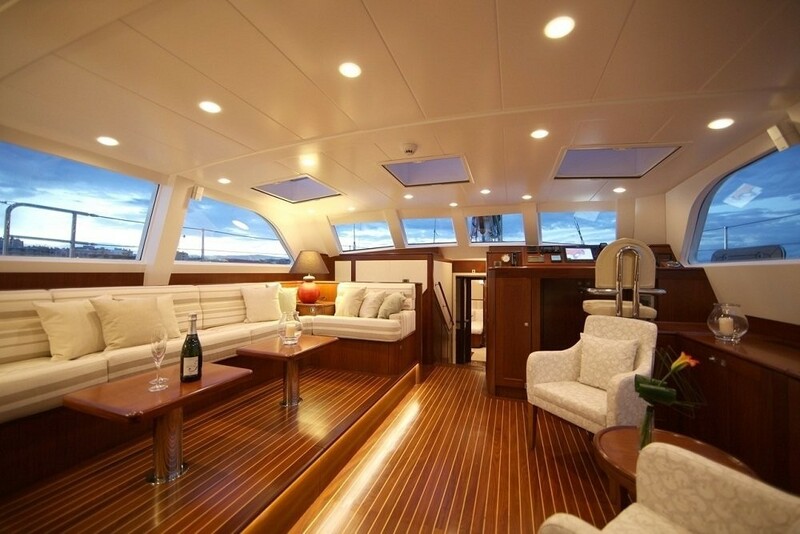 Underwater lines are refined for high sailing performance capabilities and her large beam and superstructure volume allows an impressive level of interior space. 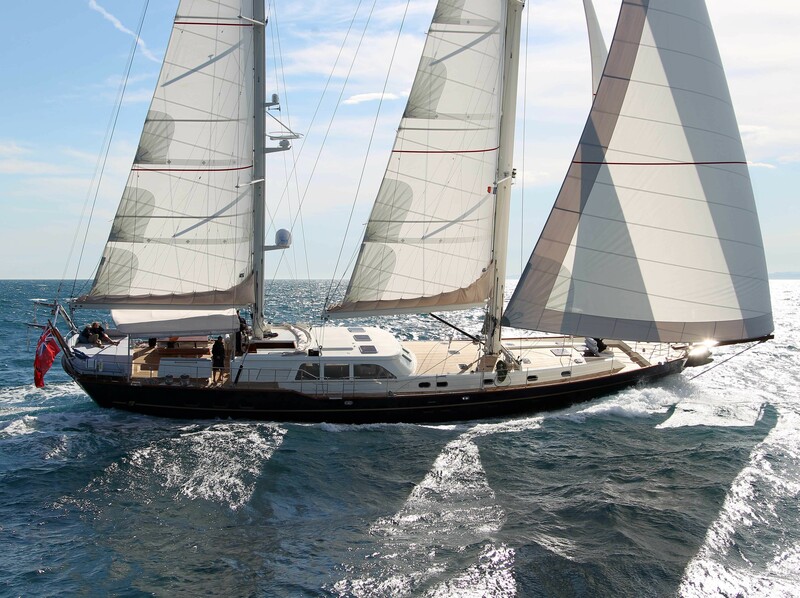 Both the on-deck and interior arrangements of the sailing yacht KESTREL present amenities that are often found on much longer superyachts than her 94ft length on deck. 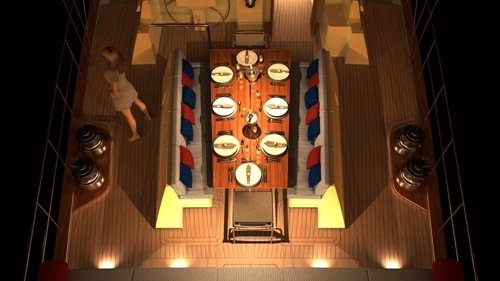 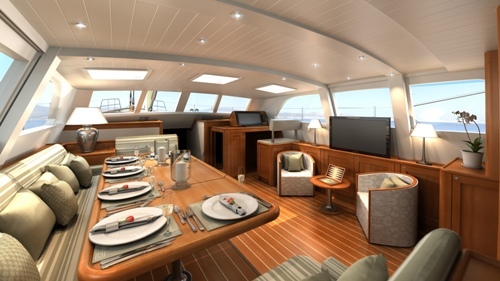 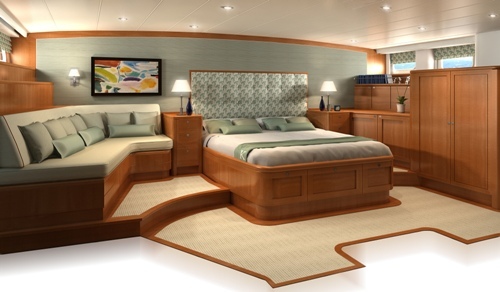 The superstructure and deck area of the S/Y Kestrel is designed for a relaxed onboard lifestyle with a convertible cockpit. 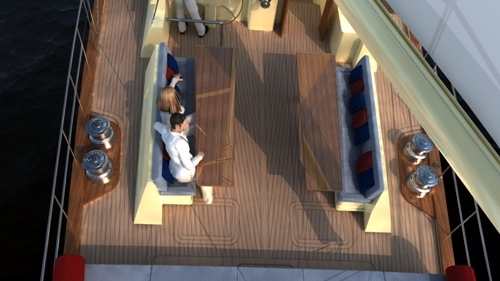 This is an adaptable space with sliding seating units for relaxing, dining and dancing. 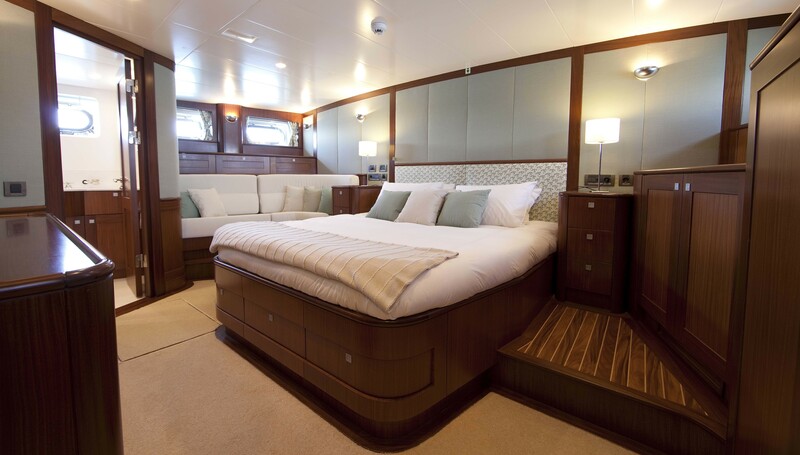 The sailing yacht Kestrel is able to accommodate up to 8-10 guests in a 4 cabins including a full beam master cabin, a large double VIP cabin and two further cabins with additional pullman berths. 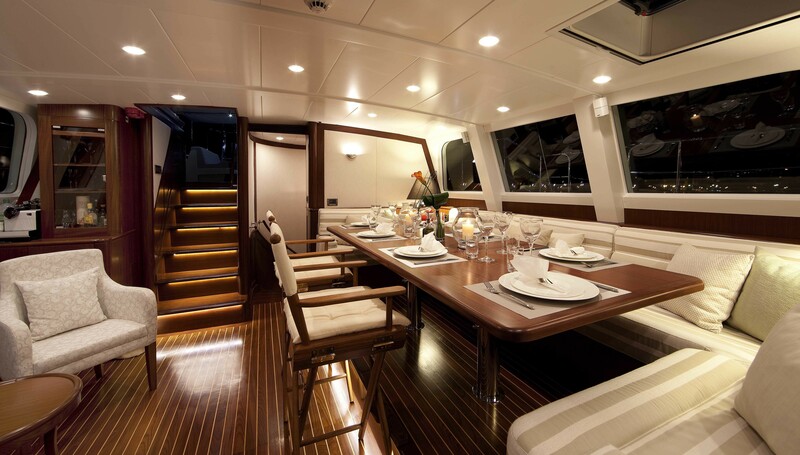 The dining areas both inside and out can also comfortably seat ten guests. 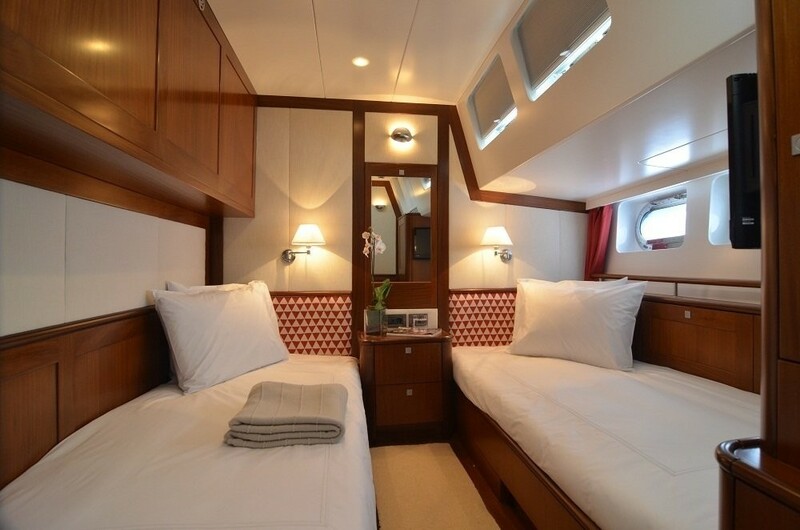 Sailing yacht Kestrel is able to accommodate up to 8-10 guests in a 4 cabins including a full beam master cabin, a large double VIP cabin and two further cabins with additional pullman berths. 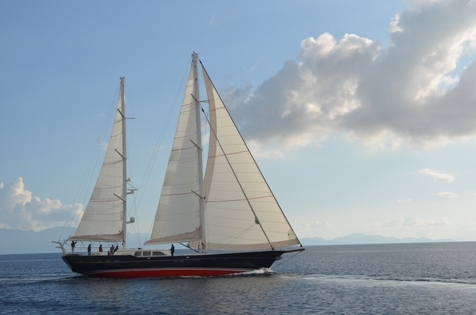 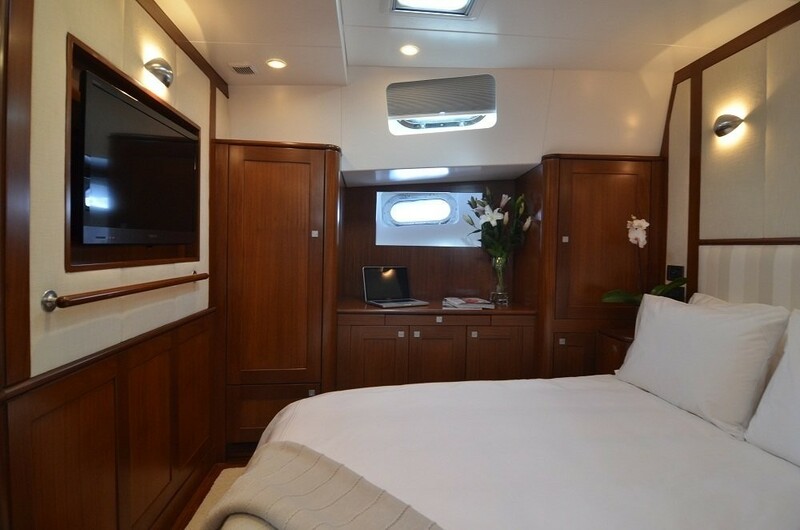 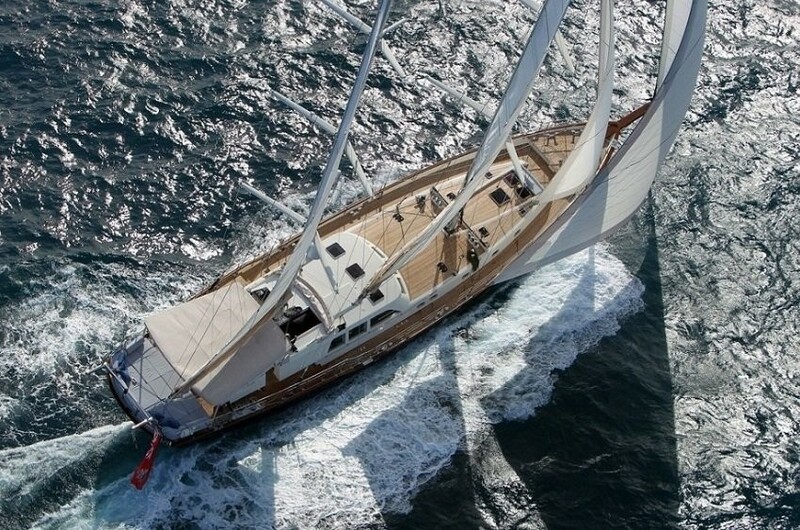 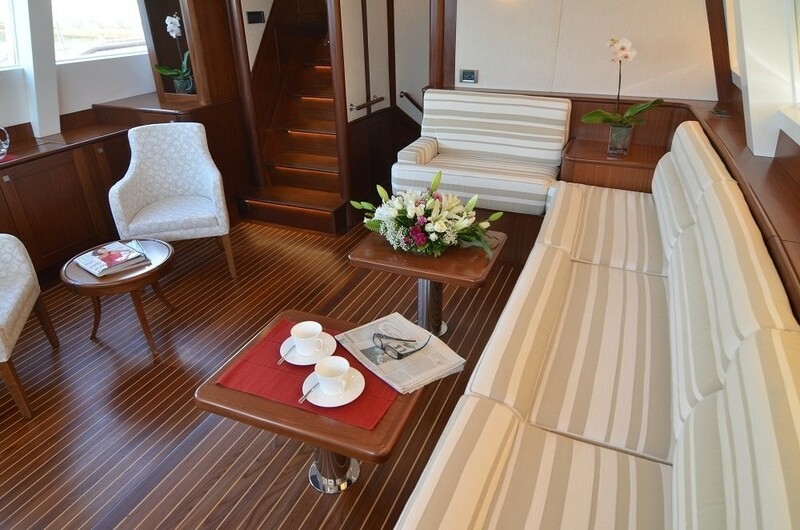 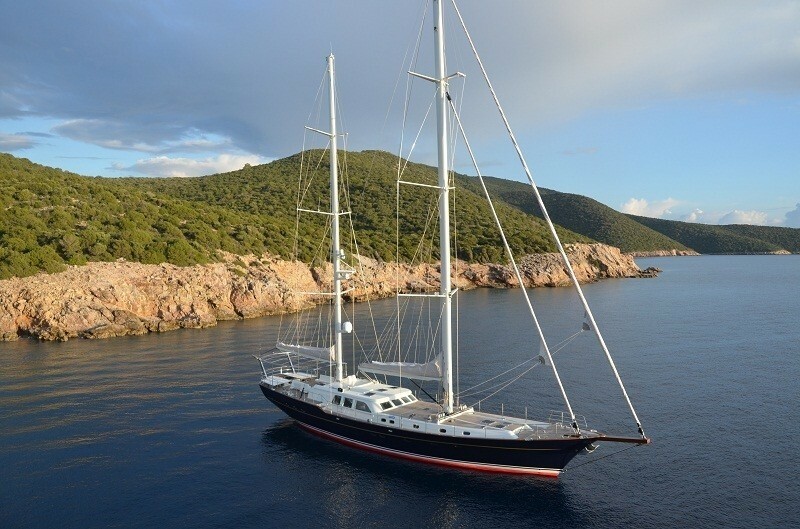 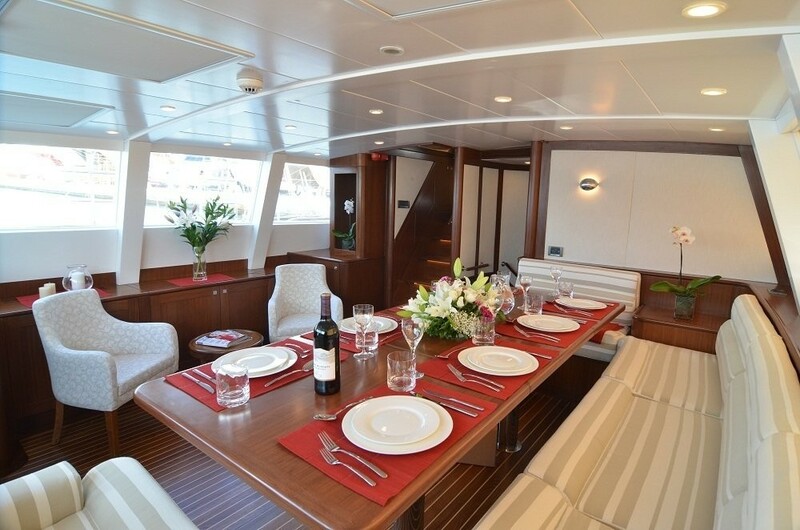 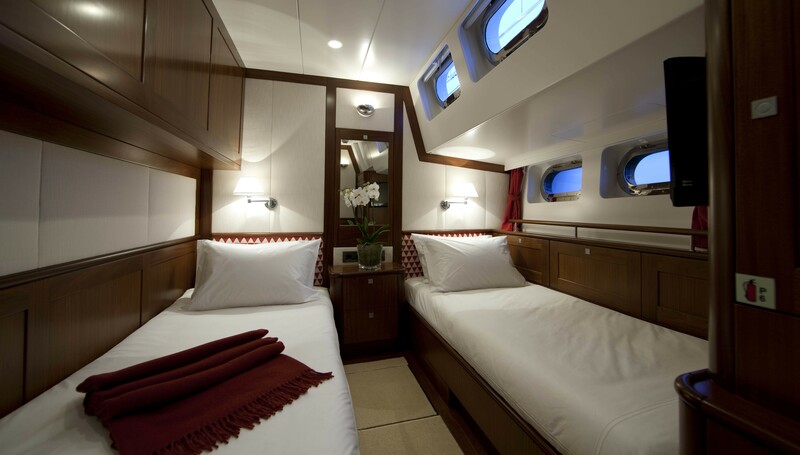 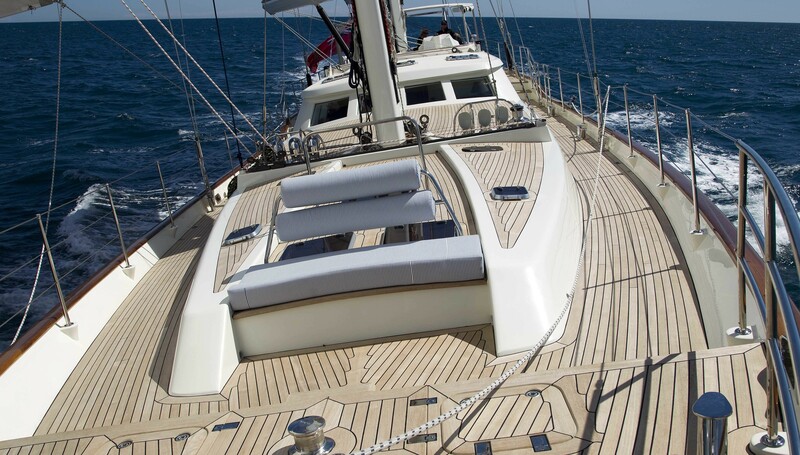 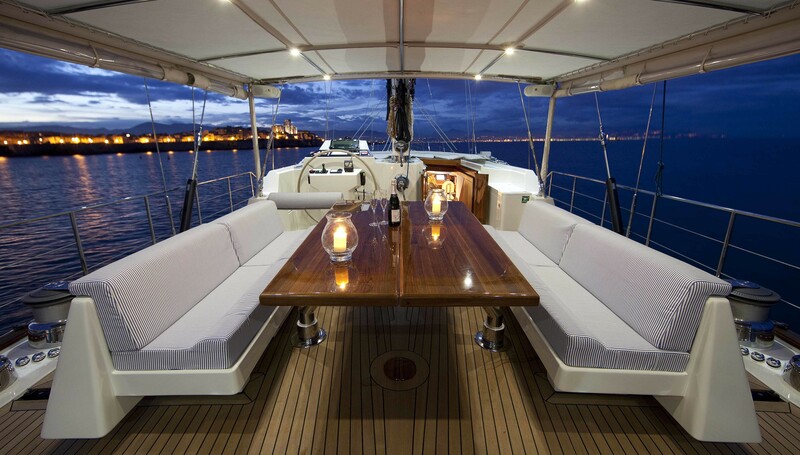 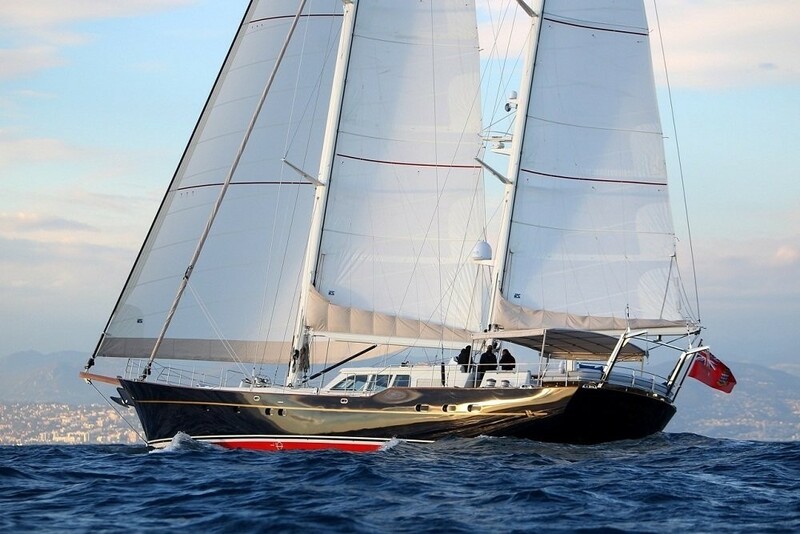 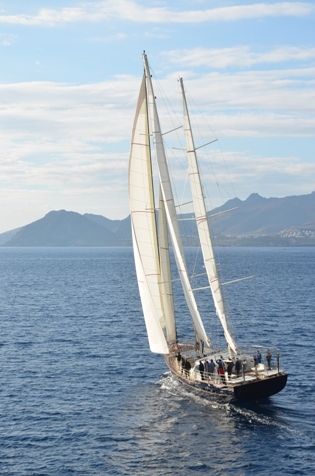 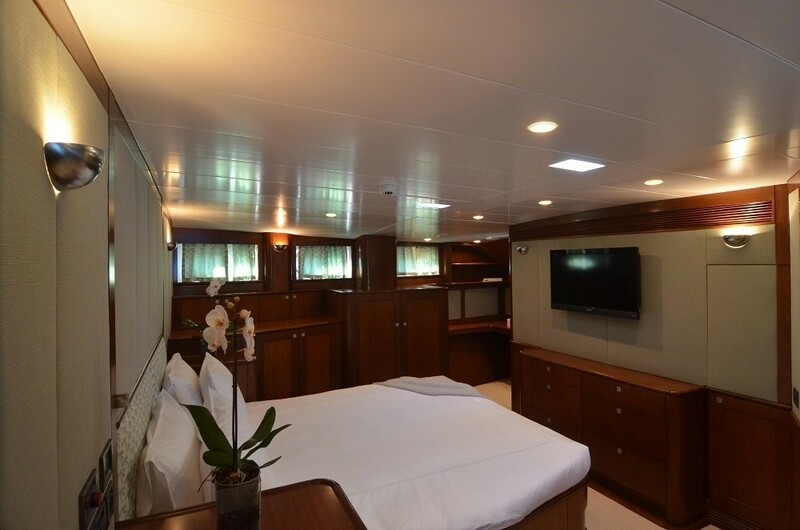 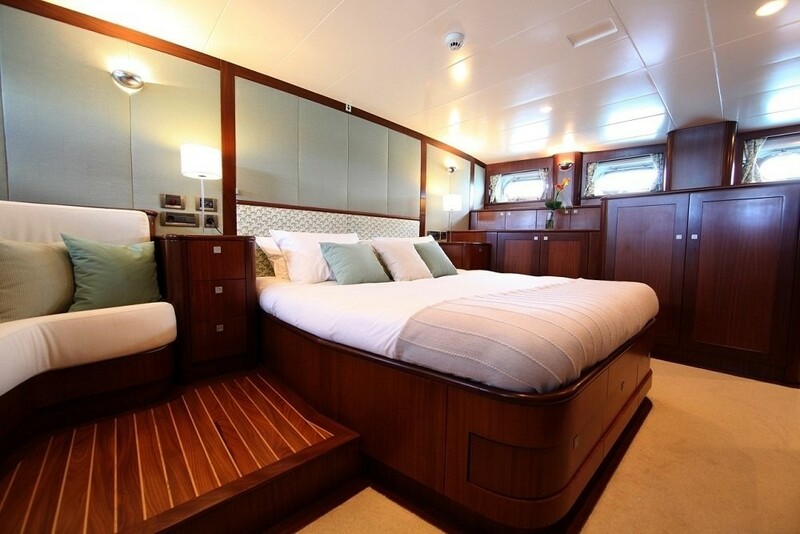 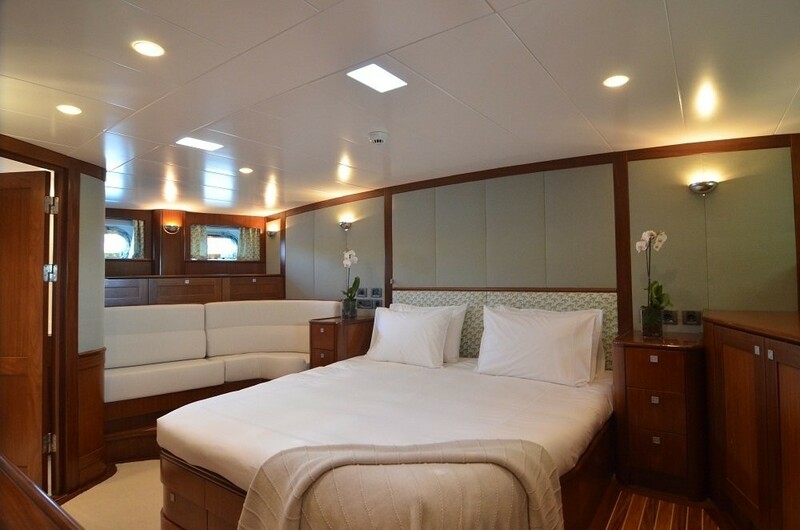 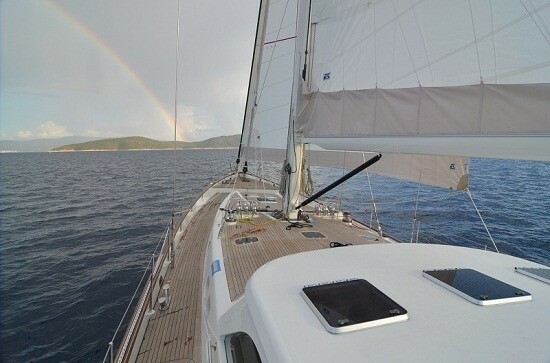 Please contact CharterWorld for a full list of yacht charter amenities offerred onboard sail yacht KESTREL.